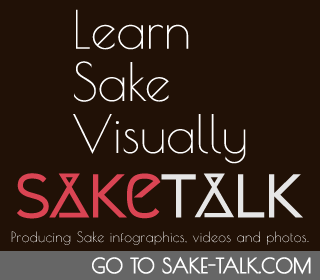 Are your Sake wares authentic Japanese products? Yes. 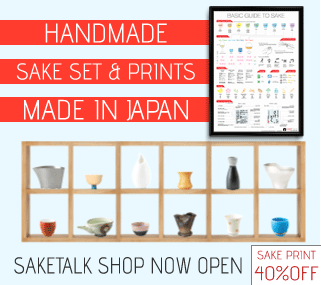 99% of our products are made in Japan, hand-made by local Japanese artisans. We say 99% because RIEDEL Sake Taster is made in Germany. It is the only one made outside of Japan. We hate imitations or mass production goods. We only sell those that we can offer you with 100% confidence. If you would like a faster delivery, we offer Express Mail Service (2-5 business days). Please check out Shipping Fee page for further information. We endeavor hard to dispatch your order as soon as possible. However, some products are made to order if we are short of stock. Dispatch days vary with products. Please refer to each product page and Dispatch page for further information. Free shipping takes around 1-4 weeks. Asia usually 1-2 weeks and other countries 2-4 weeks. Please note that it may take more than 4 weeks due to a delayed service of your local post office and/or of the customs. 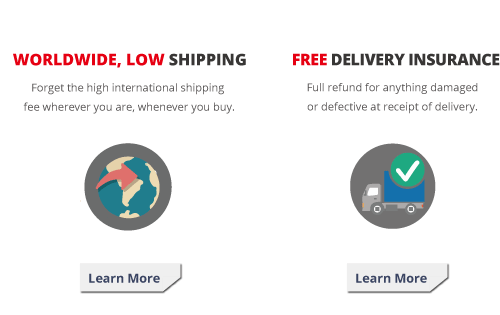 If you want to get your items sooner, other shipping options (e.g. Express Mail Service) are available for extra surcharge. Please read Shipping Options page for further information. 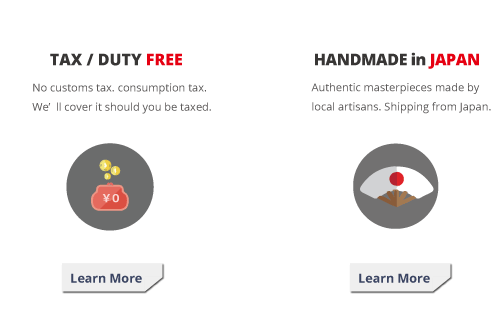 Our delivery is tax / duty free and customs friendly. Should you ever be taxed for some reason, we will fully cover the cost. We take extreme care to package and dispatch your order so that it reaches you safely. Should your items be damaged during delivery, we’ll give you a full refund. Please read Customs page and Packaging page for further information. Currently, we only accept payment in USD. If you use the currency converter button on shop page, you can see prices in your familiar currency. However, this is for informational use only. The actual transaction is proceeded in USD, and the actual exchange rate may differ from what you see through the currency converter. Any other questions? Feel free to let us know!